Get the Full StoryUFC strawweight Mackenzie Dern still wants to step in the Octagon this year, despite being pregnant. Brazilian jiu-jitsu ace Mackenzie Dern doesn t think pregnancy is much of a reason to stay away from the Octagon for all of 2019. Only two months away from giving birth to her first child, the 25-year-old emphasized to Combate that she wants to come back and fight late in the year. Away from the Octagon since a submission win over Amanda Cooper in May 2018 and still uncertain about when she would be back, Dern even pointed out that she would like to compete in the ADCC as well, which will take place in September. I m sure I ll still fight this year, I just don t know the month. I want October so I can get ready as soon as possible. I wanted to fight in the ADCC, but I feel bad asking them now, with the baby still in my belly and all. The tournament will be here in California, in September. We have to see if I ll have a normal birth or a cesarean one, but my doctors told me I could fight. I almost didn t gain any weight, my doctor even wants me to put on more weight. This baby got me more motivated than ever. Furthermore, Mackenzie makes it clear the thought of retiring from the sport never crossed her mind once she learned about the pregnancy. In fact, Dern says it made her even more determined to go back and perform again. When people say you can t, that s when you want to prove the opposite. They say the kid will take part of my time, but it only motivates me more. You don t retire just because you re a mom. It s about your will. I think I got that from my dad, I grew up watching him fight. I never saw someone quit fighting because they became a parent. Kyra Gracie stopped, but that was her choice. I never thought I would have a kid and then retire. I always pictured in my mind that my kids would watch me fight. 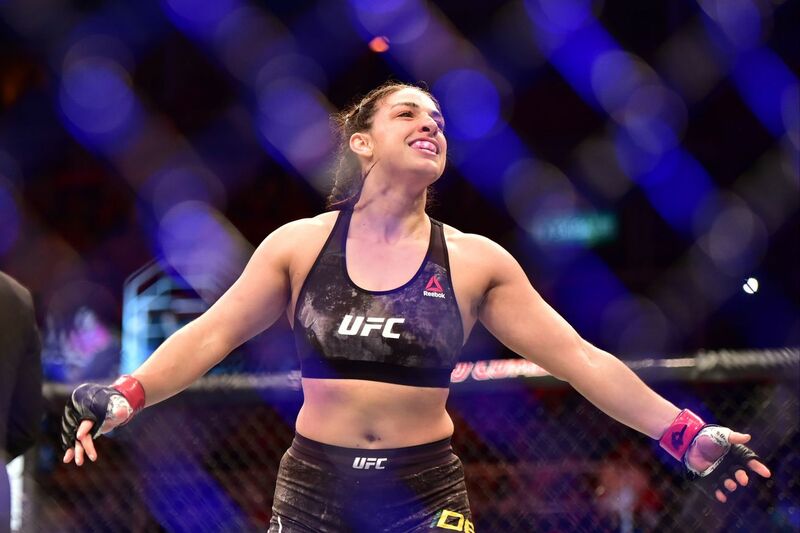 Still undefeated in her professional MMA career, Mackenzie Dern 7-0 has two UFC wins. The last one over Amanda Cooper, and a split decision victory over Ashley Yoder in her Octagon debut back in March 2018.